Fully furnished house at Valenza across Nuvali. 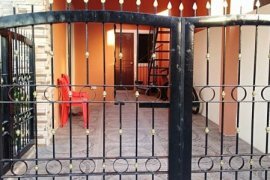 Fully furnished house, 3 bed room, 3 toilet and bath, 1 maids room, covered garage, garden and terrace. House location across Solinade 1 to 3 in Nuvali, along Sta Rosa Tagaytay road. The Furnished House in Pramana Residential Park. Beautiful House Furnished near First phil. Industrial park 2.
for Lease industrial whse in cabuyao laguna. House and Lot 2 floors. 6bed room, 3 toilet and bath, covered garage, with fence, near to Paseo Sta Rosa and Nuvali Malls. Along LTI Blvd. 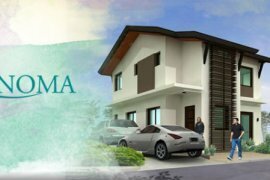 THE HOUSE AND LOT FOR LEASE IN PRAMANA RESIDENTIAL PARK. FOR RENT: Brand New 4BR House La Residencia (Beside Nuvali) P75K/month. FOR RENT Fully Furnished Studio unit in Amaia Steps Nuvali. 1,200sqm Warehouse For Rent Laguna near Slex. 1,237sqm Warehouse For Rent Laguna. 1000sqm Warehouse For rent Laguna. Ventura Residences End Unit with Big Lot. Warehouse For Rent in Cabuyao Laguna. Warehouse For Rent Calamba Laguna. Warehouse Factory For Rent Laguna. FOR RENT 4 Bedroom in Verdana Homes Mamplasan, Laguna. Office Space for Lease in Insular Life Building San Pablo, Laguna. Warehouse for Lease in Sta. Rosa, Laguna. Warehouse for Lease in Binan, Laguna. AFFORDABLE RESEDENTIAL LOT FOR SALE IN NUVALI SANTA ROSA LAGUNA!!!! 24K MONTHLY..
Amaia Steps Nuvali Affordable 1 Bedroom Condo For Rent. Affordable 1 Bedroom Condo For Rent Amaia Steps Nuvali. Hello, Please contact me, I am interested in properties for Rent in Laguna. Best Regards. Dot Property Philippines is an online property portal where thousands of property searches happen every day. Start your search today for affordable property for rent in Laguna from 146 available listings. Condominiums, houses, commercial space, and luxury properties are available for rent in Laguna. Laguna’s properties for rent are either listed by private home owners or property agents such as Michelle Madarang - Trusted Real Estate Broker, Gena Mahinay-Rilling and loreza 'dexra' asistio. The average asking price for property rentals in Laguna is ₱ 50,318 for houses and ₱ 136,394 for commercials. Refine your search to help you find the perfect Laguna property by price and number of bedrooms.